Jake Prus (#78) is one of two players donating bone marrow as part of the “Be The Match” campaign. 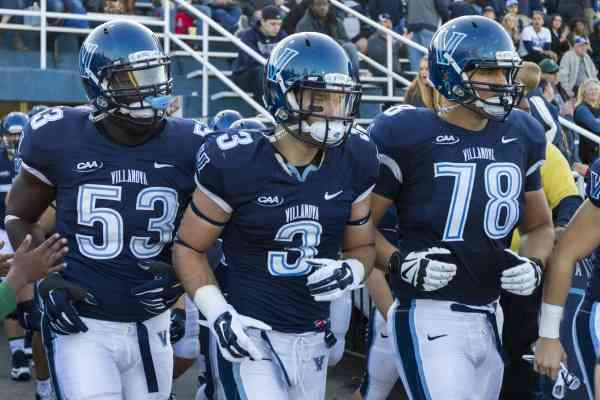 Villanova wide receiver Jacob Gribb is hoping to save a young man’s life. The senior Wildcat is donating his bone marrow to a patient in his early 30’s suffering from leukemia. Gribb’s is not the first Wildcat to take this life saving action. Earlier in September, junior lineman Jake Prus also donated bone marrow to an individual who has leukemia. Head coach Andy Talley couldn’t be prouder of his players and is excited to see his team actively involved with his “Be The Match” foundation. If you would like to donate to the foundation, please click HERE.